Wearing sunscreen, avoiding tanning beds, and staying out of the sun are some of the best defenses against skin cancers. But did you know that apart from the usual, five additional ways provide excellent protection against ultraviolet rays? Considering that 55,150 men and 36,120 women are estimated to develop skin cancer in 2018, it is only best to learn about these preventive measures and to include them in between your sunscreen application routine. 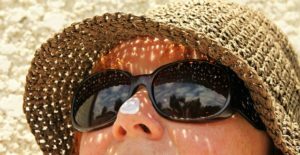 Before we discuss the many ways to prevent skin cancer, let us first understand the difference between UVA and UVB. The sunlight that reaches the surface of the earth is made up of two types of harmful rays: (1) long wave ultraviolet A (UVA) and (2) short wave ultraviolet B (UVB). UVA rays penetrate deep into the skin’s thickest layer. Unprotected exposure can lead to premature skin aging and suppression of the immune system. UVB rays, on the other hand, will usually burn the superficial layers of your skin. Sunburned skin does not only feel painful and uncomfortable, but it can also cause permanent damage over time. In general, both UBA and UVB play a significant role in the development of skin cancer. If melanoma, non-melanoma, or other types of skin cancer are recognized and treated very early on, it is almost always curable. If not, skin cancer may advance and spread to other parts of the body, where it becomes difficult to treat and becomes fatal. The physical barrier between you and the light hitting the windows of your home or car does not mean you are safe from ultraviolet rays. While your car’s windshield may deflect both UVA and UVB rays, its side windows can only repel UVB light. Home windows, on the other hand, can block UVB light, but may also serve no layer of protection. You do not have to seclude yourself in a dark basement to protect yourself from the sun. In fact, just avoid lounging in direct light shining through your windows during the middle of the day. If you drive for prolonged periods, consider a UV filter for your windows. Several studies suggest that daily coffee consumption may result in lower rates of non-melanoma skin cancer. In fact, the more coffee a woman drinks, the more her skin cancer risk falls, according to a 2007 study in the European Journal of Cancer Prevention. The authors note that caffeine may block the kind of “DNA synthesis and cell division” that leads to skin cancer development. A similar study further indicates that coffee may also protect against melanoma. Since caffeine may play a crucial role in cancer prevention, you are not doing your skin any favor by drinking decaf. Additionally, avoid loading your cup of joe with sugar and other additives that will compromise coffee’s health benefits. Some prescription medications can make your skin incredibly sensitive to sunlight and increase your risk of sun damage and, along the line, skin cancer. Some of the drugs you may want to watch out for include the antibiotic doxycycline, which treats and prevents severe acne (among other conditions). Since this drug works by clearing skin imperfections, it accelerates the skin’s ability to heal and renew itself, exposing delicate, sensitive skin to harmful rays. Thus, it is vital to ask your pharmacist about any side effects and to read the warning information related to your medication. In a previous article, we discussed that a weakened immune system is one of the factors that elevate your skin cancer risk. If you get sick too frequently, it can indicate a weak and fragile immune system. 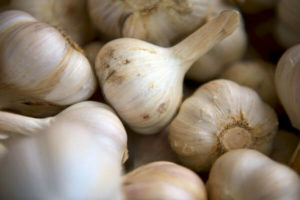 Some foods are known as immune-boosters, including the fragrant garlic. Garlic contains compounds that assist the immune system in fighting germs, stimulating the type of cells in the body that are responsible for immunity, and enhancing your body’s natural killer cell and killer cell activity. Did you know that there is such a thing as sun protective clothing? Clothing with Ultraviolet Protection Factor or UPF 50 means that one in 50 of the sun’s rays reaches the skin. “UPF is partly dependent on the weave of the fabric (a tighter weave gives more protection), the weight and density of the fabric, and the color,” says Dr. Desiree Ratner, director of the Comprehensive Skin Cancer Program at Mount Sinai Beth Israel. “Choosing a garment with a UPF label often means that the garment is fashionable as well as functional, with light, breathable fabric.” You can often find UPF labels on long-sleeved shirts, pants, and wide-brimmed hats. What will happen at the dermatologist? An annual physical exam is essential in preventing the onset of skin cancer. A dermatologist will examine every inch of your skin, including the scalp. No blood work is performed at a skin cancer screening. The dermatologist will only look at any specific lesions and examine any new or developing lumps, bumps, and moles that you are worried about. If necessary, your dermatologist may perform a biopsy to determine if any mark on your body is cancerous.